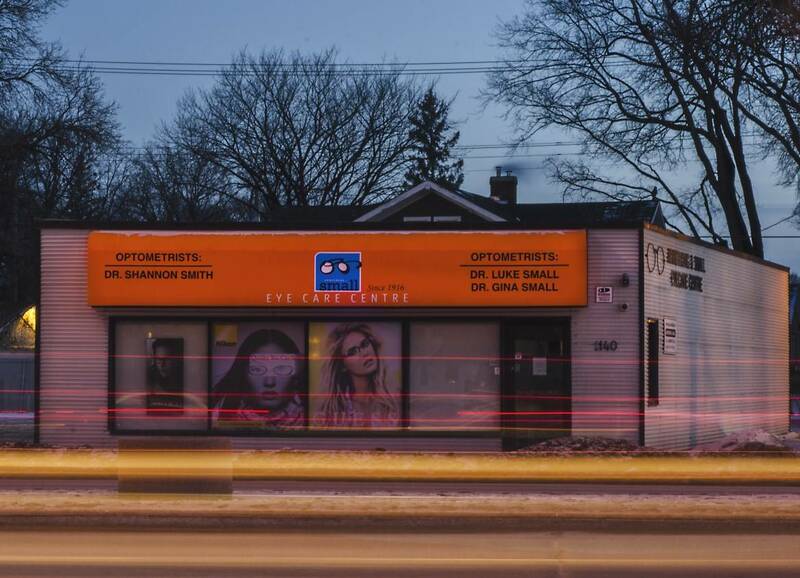 We realize that you have many choices when it comes time to choosing an optometrist in Winnipeg, MB. We are also keenly aware that you have numerous choices when it comes time to fill your eyeglass and contact lens prescriptions. 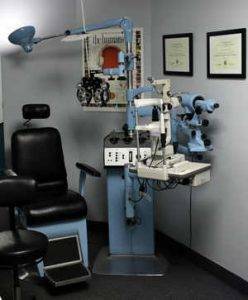 It is our goal to provide you with a one-stop location where all of your eye care needs can be met. 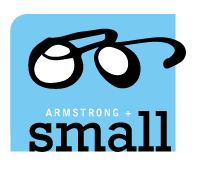 Armstrong & Small Eye Care Centre has been around a very long time and we know that we can’t (and won’t) be able to compete with many of the large discount optical stores when it comes to cheap, lower quality products. However, we stand behind every one of our high-quality optical products and our prices are competitive when comparing apples to apples and we service everything that we sell. The same goes for our doctors and staff. Our eye doctors pride themselves on the quality of service and listening skills. We do our best to listen to your eye care needs and provide options for you that will best suit your individual vision requirements. Whether this means a full review of your retina with the latest image technology, or simply a new nosepad on your glasses, we will do our best to provide you with the very best care. 1935: Donald Small enrolls in the 2-year program at the College of Optometry of Ontario. Tuition was $600/year. 1938: Dr. Donald Small apprentices for one year under Dr. W.O. Scott for $20/week. 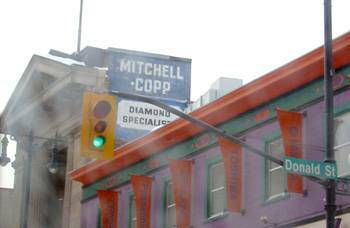 He later starts work at the Mitchell Copp jewellery store and eventually runs their optical department for 10 years. 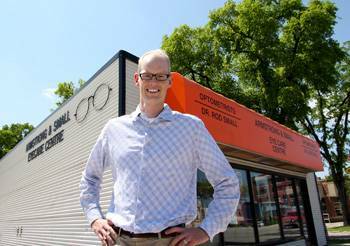 He was one of the first optometrists to start charging exam fees since prior to that, the only money the optometrist received was from the sale of eyeglasses. Eye exams were $3. 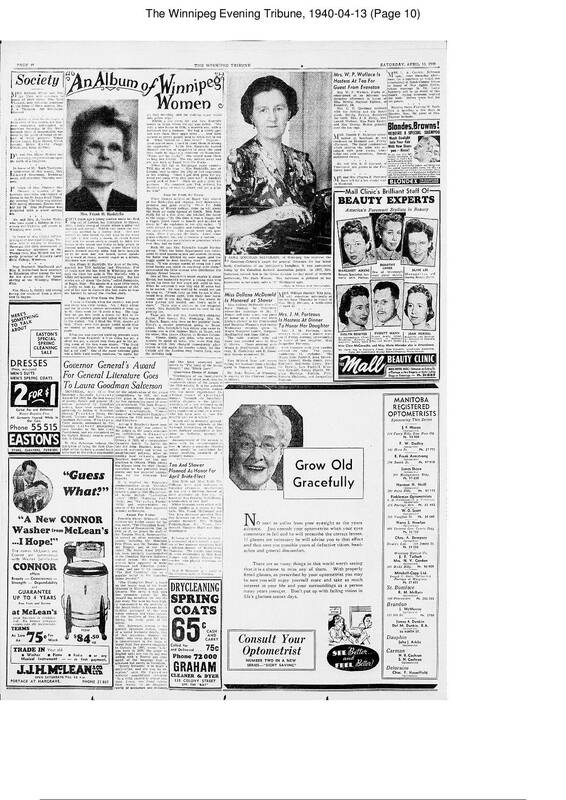 1940: Ad (below) appears in the Winnipeg Evening Tribune, April 13, 1940, listing both B. Frank Armstrong and Donald C. Small as Registered Optometrists in Manatoba. To see the full ad, click here - or click on the ad to see a close-up. 1948: On April 19th, Dr. Donald Small opened his own private practice in the Boyd Building on Portage Avenue in Winnipeg. He would practice at this location for the next 31 years. 1957: Dr. Donald Small completes a 2-year correspondence course through the College of Optometry of Ontario to earn his doctorate. 1959: Dr. Donald Small purchases Dr. Frank Armstrong’s practice (who was practicing in the Boyd Building at the time). Dr. Armstrong retires shortly thereafter. 1962: Roderick Small enrolls at the College of Optometry of Ontario. 1965: Dr. Donald Small purchases Dr. Charles Dempsey’s (Registered: 1918 License #: 151) practice and Dr. Dempsey retires shortly thereafter. 1965: Dr. Donald Small purchases Dr. Archie Pippy’s (Registered: 1921 License #: 162). Dr. Pippy practices in the Boyd Building for another year before retiring in 1966. 1966: Dr. Roderick Small graduates from the College of Optometry of Ontario and joins his father’s practice at the Boyd Building in Winnipeg. At this point, the practice is known as Armstrong, Small, Dempsey, Pippy, and Small. Quite a mouthful for the poor secretary who was answering the phones that year! 1970: Dr. Donald Small started two small satellite practices in Ashern, MB, and Stonewall, MB. He would continue with the Stonewall practice until he retired. 1970: Dr. Don Porter (Registered: 1970 License #: 248) joins Armstrong and Small as an associate. 1977: Dr. Jim Eastwood begins as an associate with Armstrong and Small and continues to work at their soon-to-be new location. 1976: Dr. Donald Small semi-retires and cuts back his hours to a few days per week. 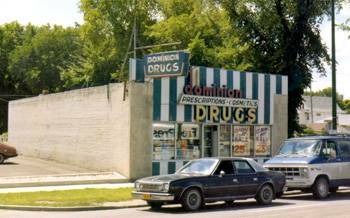 1979: Dr. Roderick Small purchases the Dominion Drug Store Building at 1140 Portage Avenue in Winnipeg. 1979: Dr. Marlene Reiss (Registered: 1979 License #: 276) works as an associate at Armstrong and Small from 1979-1980 during the transition from the Boyd Building to 1140 Portage Avenue. 1981: Dr. Daryl Popoff (Registered: 1981 License #: 284) joins Armstrong and Small as an associate and eventually partners with Dr. Roderick Small. 1982: Dr. Roderick Small and Dr. Daryl Popoff purchase the Winnipeg practice of Dr. James Eastwood. Dr. Eastwood continues to see patients at 1140 Portage Avenue for the next few years. 1983: Dr. Donald Small fully retires. 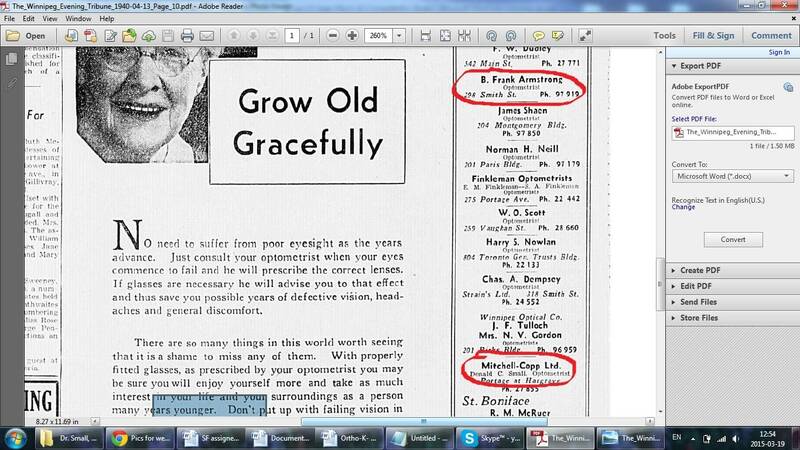 1988: Dr. Roderick Small and Dr. Daryl Popoff purchase Dr. Gordon Reeves’ (Registered: 1938 License #: 188) practice. 1997: Dr. Daryl Popoff moves his practice to Pembina Hwy in Winnipeg. 1996: Gina Mistretta enrolls at the University of California Berkeley School of Optometry in Berkeley, California. 2000: Dr. Luke Small (Registered: 2001 License #: 362) returns to Winnipeg with his soon-to-be fiancé, Dr. Gina Mistretta (Registered: 2000 License #: 360). 2002: Dr. Luke Small and Dr. Gina Mistretta return to California and practice in Santa Barbara, CA. 2002: Dr. Gina Mistretta becomes the managing doctor for LensCrafters in Santa Maria, CA. Later in 2003, she would go on to become the managing doctor for the Santa Barbara location. 2003: Dr. Luke Small joins Advanced Eyecare and Laser Vision in Santa Barbara as an associate working with Dr. Tom Fausset. 2004: Dr. Gina Mistretta joins the Sansum Santa Barbara Medical Foundation Ophthalmology Clinic. 2004: Dr. Luke Small joins Dougherty Laser Vision in Camarillo, CA working as an associate for LASIK surgeon Dr. Paul Dougherty. 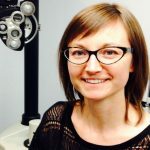 2004: Dr. Luke Small would also begin work as an associate at Ventura Optometric Vision Centre working for Dr. Ona Shoriyama and Dr. Mark Bozek. 2006: Dr. Leanne Levitt (Registered: 2003 License #: 376) works as associate with Dr. Roderick Small and Dr. Luke Small before moving to Kelowna, BC in 2008. 2006: Dr. Luke Small becomes the Optometric Coordinator for the Santa Barbara County Clinic. 2006: Dr. Luke Small joins Carpinteria Vision Care working for Dr. Terry Mayhew. 2007: Dr. Luke Small and Dr. Gina Mistretta Small return to Winnipeg and join Dr. Roderick Small. 2008: Dr. Roderick Small retires January 1, 2008. 2008: Dr. Shannon Smith (Registered: 2008 License #407) joins Dr. Luke Small as an associate at Armstrong and Small. 2014: Renovations of the practice begin. 2015: Our practice - at just the right light between day and night. Photo courtesy of Edward Saunders. 2016: Drs. Leanne Zimmer and Matt Lepage join the practice. 2018: Dr. Jocelyn Radawiec joins the practice. We direct bill with various insurance companies to save our patients time and money. Saturday is our most busy day of the week. Please call us ahead of time to book your appointment!